At BHP Motorsports we take great pride in our work and are here to share it with the motorcycle community. Every motorcycle that comes through the door is treated as if it were our own. We also strive to deliver the best customer service and support. Since BHP’s inception, Aaron Barnum (President, lead technician) has successfully created a solid reputation in the local motorcycle community. To learn more about Aaron’s experience and awards click here. Keep scrolling to find out more about the services we're proud to offer. BHP Motorsports is a full service shop providing a high level of experience working on street, off-road, cruisers, ATV's, side by sides, scooters, and karts. We offer everything from simple oil changes and tire installs to in depth factory scheduled maintenance. If you don't see the service listed that you're looking for, give us a call. Chances are we can handle it. Let us get your bike dialed in. At BHP all tune up's follow the factory recommended service schedule based on mileage. Every tune up can be changed or altered to meet the needs of the bike and budget. Self explanatory. You need it, we got it. We will change the engine oil and oil filter as well as replace any/all drain plug gaskets. We know you like to put this one off, but failure to do so will cause a fussy motorcycle. The BHP technician will ensure proper adjustment to match manufacturer's specifications. Nobody likes missing teeth.. especially on your sprocket. We provide Installation of front/rear sprockets and chain. Includes mounting and balancing. Yup. Technician performs necessary adjustments to ensure each cylinder has an equal amount of vacuum pressure for a steady idle and improved throttle response. Is your biking making a weird noise? Leaving it's mark on the garage floor over night? Our technicians can provide a thorough inspection to determine the cause of any running issues in a timely manner to get you back on the road. The suspension on a motorcycle is probably the most overlooked and/or neglected component that plays a vital role in how you bike handles. Routine oil changes are highly recommended if you want your ride to feel and handle at it's best. Includes disassembling, cleaning and inspection of components, and reassembly with install of new seals, bushings, and oil. Includes disassembling, cleaning and inspection of components, and reassembly with install of new seals, bushings, oil, and properly setting nitrogen pressure if applicable. Yeahhhhh buddy. For the enthusiast looking for that perfect setup, we offer everything from re-valving, fork cartridge kit installs, to full race kit suspension. Ohlins, Race Tech, and K-Tech are a few brands that we carry and install. Let us calculate the correct spring rate that matches your weight and riding capabilities and ensure proper installation and setup. The suspension will only work as good as the related chassis parts and bearings will allow it. Dry or worn out bearings make for a really rough ride. Routine greasing and torque will help keep your suspension working smooth. Includes adjusting front and rear spring preload for proper ride height and sag. We'll also adjust the compression and rebound to good starting point. Typical top end service includes removal of cylinder head, valves, piston, and cylinder. Our technicians will inspect and measure valves, valve seats, valve guides, cam(s), piston, cylinder, and connecting rod. A bottom end service includes complete disassembly of the motor. Cleaning and inspecting all parts and components. Removal and install of bearings, transmission, clutch, crankshaft, etc. Our performance mods can help you get the extra power that you're looking for. We offer cylinder head porting, performance cam installs, high compression pistons, big bore kits, performance connecting rod kits, crankshaft lightening and balancing, performance clutch installs, ceramic bearings, etc. 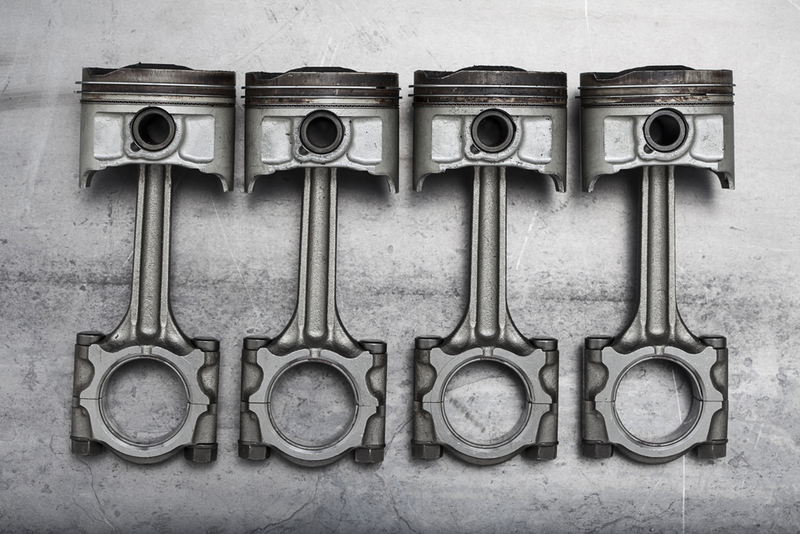 Valve seats take a real beating over time and as the sealing surface gets worse, so does the performance of your engine. Cutting the valve seats to match the valves is a necessity any time you are installing new valves. Got an abnormal tick or clunking noise coming from your motor? Oil or coolant puddling up on the garage floor and uncertain where it is coming from? Bring it in. We'll inspect it and let you know what needs to happen to fix it.